Utilize the Intersect setting of the Shape tools to achieve the look of one rounded corner on a photo mask. Create a new 12 x 12 inch document (File > New > Blank File) at 300 ppi with a white background. Press the letter D to reset the Color Chips to black over white. Get the Rectangle tool. It is nested with the shape tools. In the Tool Options, set the Style to None and the Geometry Settings to Unconstrained. Click on the Create New Shape Layer icon. In the Tool Options, set the Tool Mode to Shape. The Fill should be a Solid Color and the Stroke should be None. Open the Path Operations and choose New Layer. Open the Tool Settings and choose Unconstrained. On the document, click and drag to create a rectangle. Note: This images has been zoomed in to show more detail. I am wanting to rounded only one corner of my shape. 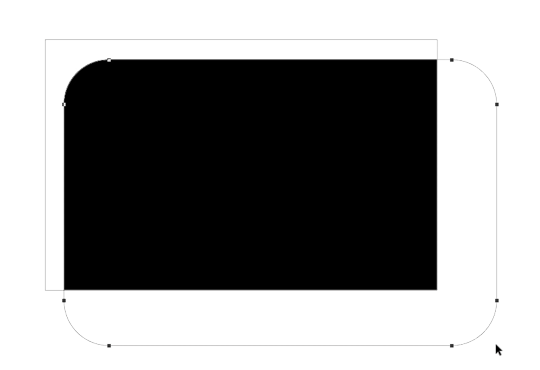 Get the Rounded Rectangle tool. In the Tool Options, set the Radius to 100 px, the Style to none, and the Geometry Settings to Unconstrained. Click on the Intersect Shape Areas icon. The greater the Radius, the bigger the curve. In the Tool Options, set the Tool Mode to Shape. Set the Fill to Solid Color and the Stroke to None. Open the Path Operations and choose Intersect Shape Areas. Open the Tool Settings and choose Unconstrained. Set the Radius to 100 px. On the document, click and drag to create a rectangle. To reposition while dragging, press and hold the Space bar. 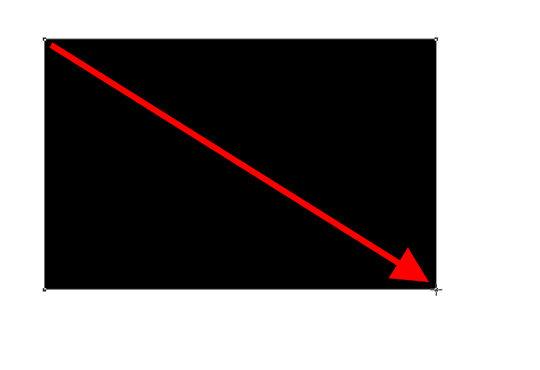 Using the image below as a guide, the rounded rectangle should offset from the regular rectangle. 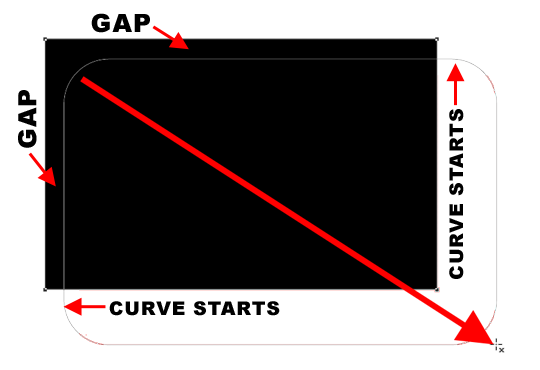 Also, three of the radius (corners) should be completely outside the original rectangle. When you let go of the mouse, the intersected shape will appear and should look similar to the image below. Notice how there is one rounded corner and three square corners. 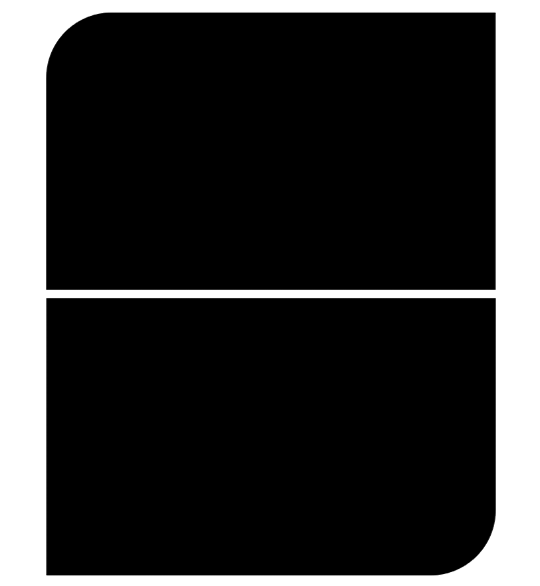 You could stop at just one shape, but when duplicated and rotated, this shape makes a nice grid style template. Press Ctrl J (Mac: Cmd J) to duplicate the shape layer. Press Ctrl T (Mac: Cmd T) to get the Transform options. Click and drag inside the bounding box to reposition the new shape below the first one. Click the checkmark to commit. Use these shapes to clip papers or photos to. The unexpected rounded corner will add instant flair to your scrapbook page or other digital project. Here is my scrapbook page featuring this technique. return here and include the link in the comments. Such a clever and creative way to use this idea. I love your layout! Thank you for all you share. I love your tutorials and information. Good tutorial .Very useful !